Crown of Thorns nail crucifix. Measures 2-1/4" high and includes jump ring. Silver oxidized metal. Made in Italy. 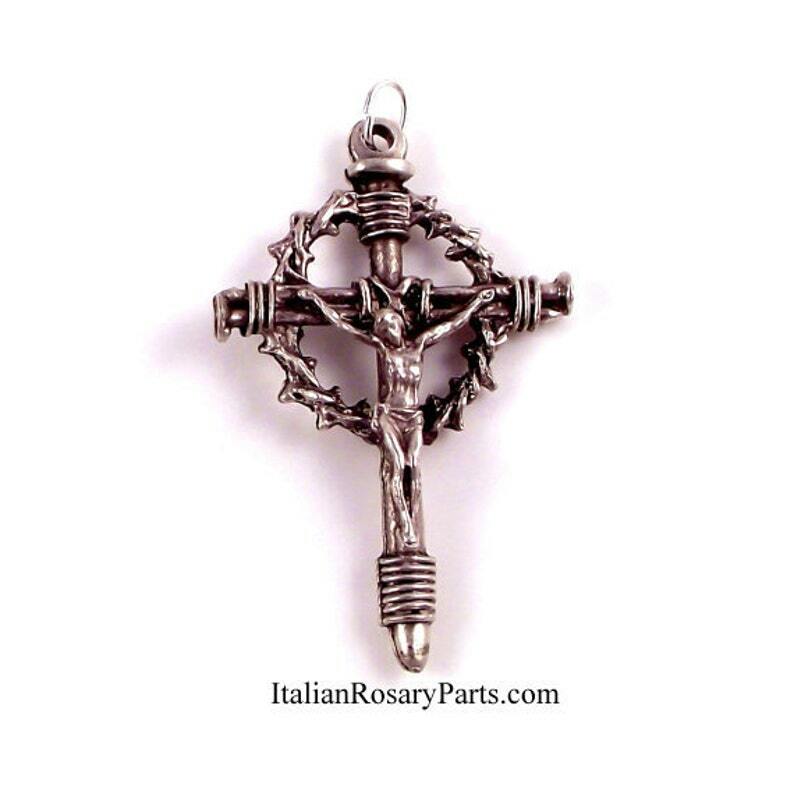 Great to wear as a pendant or for rosary making. Photo shows both sides of the crucifix. Orders of 25 or more pieces may require additional shipping time. Awesome. Just as pictured! Definitely recommended!